Juliano Kaglis was born in Athens in 1974. He studied painting and engraving with professors Patraskidis, Gavathas and Milios, at the Academy of Fine Arts in Athens. During his studies, he received a Fine Arts Scholarship by the Greek State Scholarship Foundation to produce artistic work. 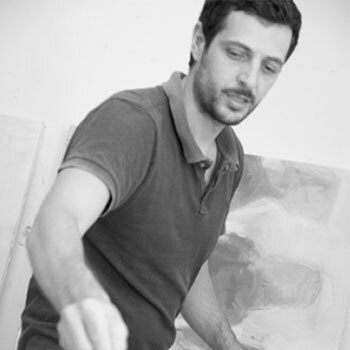 In 2005, he was a candidate for the Frissiras Museum’s “Contemporary European Painting Award”. In 2013, he was honored with the Distinguished Greek Painter Award for artists up to 40 years old offered by the by the Academy of Athens.